Warwick's Professor Wyn Grant and Boston University's Professor Graham Wilson discuss Politics and the Financial Crisis along with the research collaboration and partnership between the two institutions. Any local newspaper describes the latest achievements of volunteers in the community: hospital fund-raising, a wildlife pond created. The advantages to the community are obvious, but this unit explores how engaging in voluntary work can enhance your employment opportunities. Section 2 has looked at different ways of understanding the new economy, of understanding what is actually happening. The relative nature of poverty is an old theme in social science. Adam Smith, the eighteenth century writer who is often regarded as the founding father of economics, put it this way: ‘By necessaries I understand not only the commodities that are indispensably necessary for the support of life, but whatever the custom of the country renders it indecent for creditable people, even the lowest orders, to be without’ (Smith, 1776, quoted in Sen, 1981). Dr Rod Thomas talks about a newly-discovered Iron-Age settlement and other findings in Bathampton Down. 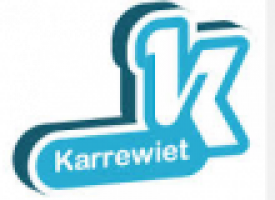 Eerst bekijken de leerlingen de uitzending van Karrewiet (29/09/2014). Hierna beantwoorden ze de vragen op de werkbladen. 4 What is a ‘nation’? Guibernau (1996, p. 47) has defined the nation as: ‘a human group conscious of forming a community, sharing a common culture, attached to a clearly demarcated territory, having a common past and a common project for the future and claiming the right to rule itself’. So awareness, territory, history and culture, language and religion all matter. However, it is rare in the real world to find a case of a nation with a clear-cut and homogenous character in terms of this list of possibilities. This free course provided an introduction to studying Computing and ICT. It took you through a series of exercises designed to develop your approach to study and learning at a distance and helped to improve your confidence as an independent learner. 2.1 2.1 What do we mean by ‘region’ and ‘regionalism’?